Every now and then I like to step back into my old life. By that I mean I take a trip through memories that don’t surface very often. I have, ahem, several memory boxes. I remember seeing Anthea Turner (Perfect housewife – does anyone remember that? Grief I didn’t know whether it was aspirational or a comedy programme…probably a bit of both for me) suggest that in order to minimise clutter in your home you should have one small box for memories. Cards, letters, tickets, pictures, receipts (yes receipts!!) …you name it it’s in there. All telling a story of a day or a time that was and still is, important to me. Included in these boxes are something that won’t be culled. The girls’ wristbands from their births. My Mum still has mine and my brothers…truly a precious thing. That's so sweet! I have my boys first school sweaters nursery, infants, junior & high school. They think I'm mad when I line them up. Ah yes what do you cull, I have great regret of getting rid of a box city made by my youngest, it really was way to big. Hi N! Thanks again for joining in. We too have memory boxes - my mum kept some old school reports, exercise books, certificates, scribblings... I'm so glad she did. And now I struggle to part with Joe's old things, particularly his little clothes (hand knits in particular). If you can find the space it's worth holding on to those memories. You won't regret it. I have photographed all of Olly's pictures and junk modelling, and archived them. I keep the really special ones in a artists file. Obviously I can't keep all of the junk (apart from Buddy the robot, who is amazing), so I find this is a good way of of keeping a record of his output. I have kept special clothes and bits and bobs for all my boys. 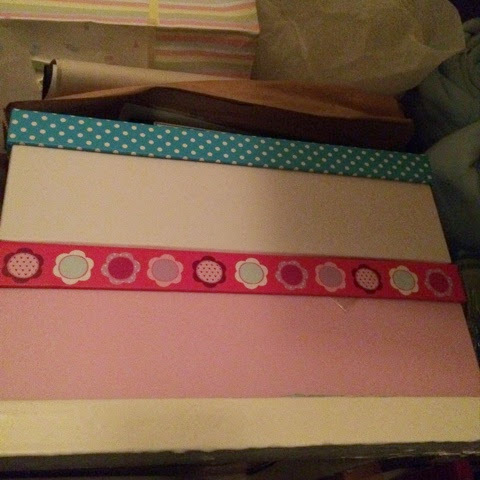 I have about three memory boxes per child, and keep everything, I am so sentimental. I even kept the sticks I weed on for the pregnancy tests. That's gross, I know. I have found that, from Year 1 onwards, the amount of artwork that comes home from school dramatically decreases which is a bit of a relief! I write the age they were on the back of the drawing and then, once a year or so, I have a massive cull. I still have the wristbands ... but only one large memory box for each of the four children, all of whom have now left school. Not a lot of their childhood art remains though ... it fell victim to a huge declutter some years ago.